As with each new Ellroy, for me this was an event. I am not a natural fanboy – reading is a lifelong pleasure, a resource, a cave, but I am not usually as interested in the author. However, the publication of a new Ellroy has me impatient in the months leading up to release. You know what you will get – around 700 pages of gritty, cut-down prose that not only doesn’t take prisoners, it revels in its lack of compromise. It’s the real thing, rich in the detail of numerous storylines, compunctions and character flaws. This is compacted writing, so edited down that each sentence, each paragraph, is clinical and yet impelling, studded with stylistic gems, no ersatz, served up in fast action noir style. I rarely buy a new book in hardback or ensure I take in an author’s publicity tour. Not with Ellroy. He is a literary showman; not to everyone’s taste of course, but he has a beautifully honed shtick that entertains and revels in our attention. On this occasion, he packed out the Mitchell Library theatre in Glasgow, and I was there, clutching my already finished copy of Perfidia, and rehearsing for the Q&A. It’s the third or fourth time my life has been intercut by one of these special evenings (my collection of signed hardbacks receive the accolade of the “special bookshelf”). As for Perfidia itself, those already in love with his tight writing will not be disappointed, although it seemed more reader-friendly than usual. The timeline – taking in the lead up to the effects of the attack on Pearl Harbor on the denizens of LA and the following three weeks – is structured and clear, so that you never get too confused among the myriad of scuzzy compulsions of the police force and their adversaries (often working together). The book is therefore less sprawling than some, offering concision, despite its length, that still contains writing that forces you to re-read phrases to appreciate their quality and beauty. 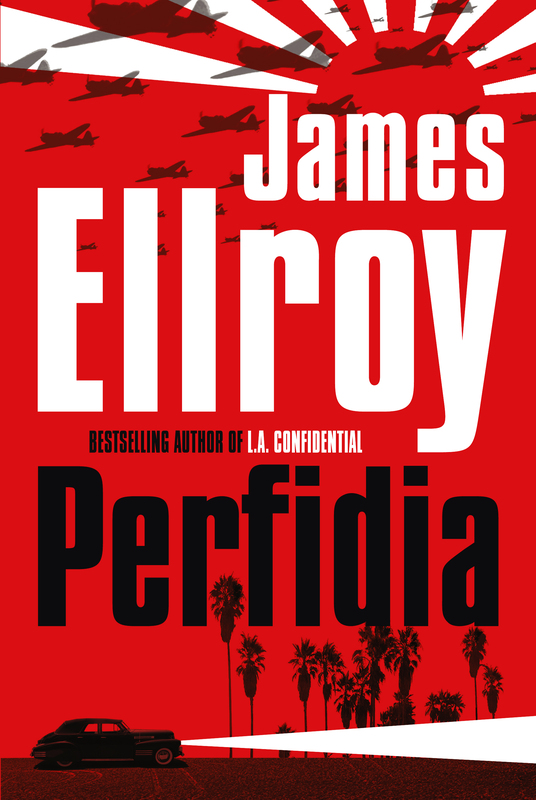 Apart from the pleasure of reading the book, the next best thing was getting to the end and finding: “Perfidia is the first volume of the Second LA Quartet.” If this seedy story unfolds across four books as well as it did for The Black Dahlia, The Big Nowhere, LA Confidential and White Jazz, then the Demon Dog of American crime fiction will bring more delightful perfidy into our lives.